Home Local news Finally, National Assembly to pass 2018 budget this week? 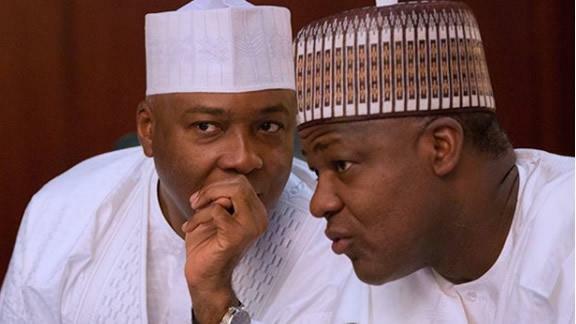 Finally, National Assembly to pass 2018 budget this week? Barring last minute changes, the National Assembly would receive the report on the 2018 budget from its joint Committee on Appropriation tomorrow (Wednesday). Investigations indicated that the laying of the N8.612tn budget would be preparatory to its possible passage on Thursday. A parliamentary source informed The Punch in Abuja on Monday, “We will be in May on Tuesday; that means the country will run out of the 2017 budget in a matter of weeks. Members have come under pressure; they have had to work very hard in the past days to ensure that the report is ready. Investigations by Punch showed that the Appropriation Bill, earlier planned for passage on April 24, failed because of “the enormous volume of work” before the various committees and particularly, the anchor Committee on Appropriation. Last week, the Deputy Chairman, House Committee on Appropriation, Mr. Chris Azubuogu, confirmed that the National Assembly would take up to May to pass the budget. However, on Monday, it was gathered that much of the work had been tidied up for the presentation of the report on Wednesday. A source told said, “Except another thing changes, the plan is to have the report from the Appropriation Committee on Wednesday. When contacted for comments, the Chairman, House Committee on Media and Public Affairs, Mr. Abdulrazak Namdas, refused to be categorical about the dates. He made a general statement that this week would be devoted to the budget. President Muhammadu Buhari had proposed a benchmark price of $45 for a barrel of crude oil, up from the $44 passed for the 2017 budget. Investigations indicated that the driving force for the possible jack up in the benchmark price was the rise in the global price of crude. It was learnt that lawmakers were considering a new benchmark of between $47 and $52 per barrel. A source stated, “In November 2017, when the President brought the budget, the price of crude was $50 and above. Today, it is nearing $75, which is a good development for our budget. The N8.612tn budget is up from the N7.44tn appropriated in 2017 by N1.17tn, or a 16 percent difference. But, it is unclear what the final figure to leave the National Assembly will be when it is passed.